I didn't like Peter Capaldi much. Hopefully she will bring a different dynamic. Marvel's comic sales are taking beating from pushing identity politics too much, seems like Dr. Who saw that and said "Hold my beer". I get what you are saying but Marvel went full out SJ "hey look, we are hip, we have transmutified chicken here"... It all comes down to how it is presented, if they make a deal out of a female taking the role then there will be backlash and rightly so, if they just carry on like normal, because why shouldn't the Dr be female then well... it will be fine. Never really been into comics and am giving it a go though the library this summer. I disagree, I think the films are helping the comic industry, not hurting it. Marvel and comic book films have had their time, it looks like the public might start rejecting these big franchises. 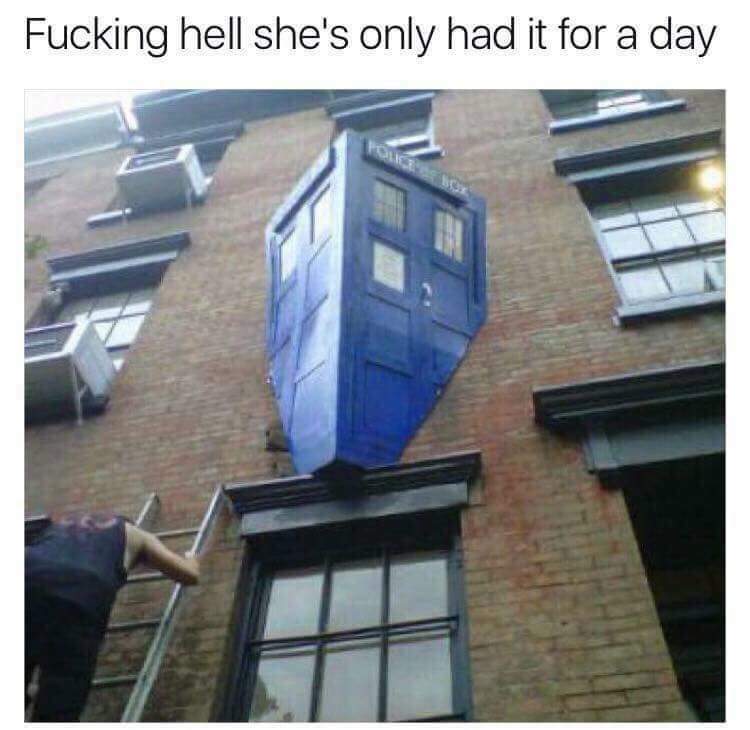 I never could get into Dr. Who. Seems that if you didn't watch it from the beginning, something was missing. I sort of liked the long haired Dr from the 80s, but couldn't stand his successor. Shame they have should fully embraced diversity - the new doctor should have been black, female and wheelchair bound. Not a fan of the series as such, but why hasn't it happened before ? Also what about ethnicity ? I guess the question was never raised... The 1st Dr was male and well they just rolled with it. At some point someone would have asked "why male?" and this was shown in an episode a couple of years ago on Gallefrey when a Timelord died and regen'ed as a female. Likewise there were black timelords as well THUS anything is possible. Especially when they make films of the BvS calibre.
. . . it looks like the public might start rejecting these big franchises. . . . Surely you must be including Doctor Who in "these big franchises" then!?!?!? Right? I mean it is a HUGE franchise! I would know, I have several hundreds of dollars worth of Doctor Who branded items all around me in my home. I know I'm not the only one! Ok, so after regeneration memory (after a while) and experience is largely intact right ? So .. you can have an entity which can spend thousands of years in a male body - then becomes female, effectively a woman with a male brain. Or a man trapped inside a woman's body. Don't forget transgendered and questioning. Urgh, such binary thinking. What about neither straight nor gay? neither man nor woman? A multi-sexual, homogenous, androgenous, biomechanical flesh and bone automaton who's aware of its own failings in mortality.